Eve Kahn et al LTE 10/30/18: Why are supervisors allowing restaurants in the Ag Preserve? "Wineries and visitors are now able to benefit from an ambiguity in the ordinance [the WDO] that allows for educational wine and food pairings for visitors. This little loophole is making it possible for us to enjoy meals at wineries while still preventing most gargantuan events. One of wineries that has created an inviting and impressive dining experience is Sequoia Grove. Their five-course seasonal cuisine wine and food pairing was an intimate, no more than 16 guests, experience." Creating a restaurant-class kitchen and hiring a top chef and support staff is no small endeavor. Neither is staying within the parameters of the loophole. Sequoia Grove has figured it all out and in a setting, which is lovely without the least bit of pretense." What can one say. Except that the wine industry was fully aware what the "ambiguous" 2010 changes to the verbiage of the WDO would mean - that wineries could then become much more profitable commercial enterprises, i.e. restaurants. At the BOS meeting, industry spokesperson Debra Dommen discounted the quotes in the Redd article below, saying that, based on her inside knowledge (more reliable than mere employees presumably), restaurant closures were not related to losing business to wineries. Just more fake news she implied. But, at his first meeting as Planning Commissioner on the day following this BOS meeting, Comm. Mazotti, a member of the company developing several major Napa urban projects, had just the opposite view from Ms. Dommen. The market for high end restaurants is saturated in the valley. The urban development community looks at each new "restaurant" as a net zero condition, with the loss of one existing restaurant expected for each new one. If the new ones are at wineries, then the town suffers. "I had a long talk with the Dierkhisings who own 2 restaurants in Calistoga. Despite the increase in visitors they told me they will be going out of business. When I asked why, they said tourists get enough food at the wineries and they don't come to us. 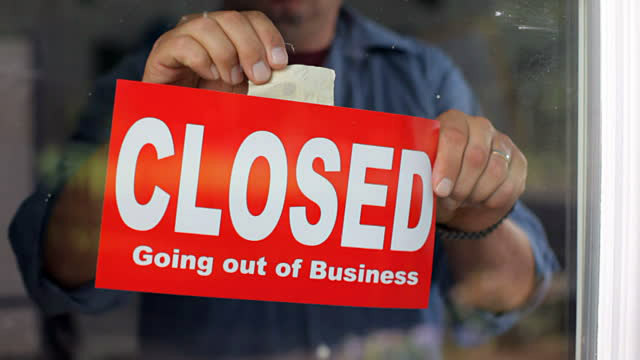 Several other restaurants in Calistoga have closed." hosted dinners and lunches didn't help business in the restaurants in town. I imagine that was a problem for Terra and Cindy's Backstreet in St. The labor shortage, as the wineries poach workers as well as customers, is another cause of demise. There is a lack of workers either for want of housing or from winery and resort competition. The approval of ever more commercial development in the municipalities without the infrastructure or housing to accommodate the increased work force is putting the squeeze on all employers. It will only get much worse as the many hotels and resorts and industrial projects approved but not yet built come online. As mentioned in the article, the preference by tourists for less expensive food in town when they spend $125 for winery lunch speaks to another issue - the promotion of Napa as a mass market tourism destination. One trip to Oxbow Market, an ideal, I'm sure, from the tourism industry's standpoint, should convince anyone that the days of oenophiles and epicures seeking an undiscovered gem are over. Like being at Disneyland, an expensive meal at a winery is part of the ride, but for all other meals it's strictly comfort food. The County's land use policies are clearly a cause in the transfer of food revenues from the municipalities to the vineyards. By including food service as an agricultural process allowed under the County's restrictive agricultural zoning, the County has encouraged the use of wineries as restaurants. The result, as has been apparent in the use permit requests since 2010 changes to the WDO to allow increased food service, is a bleeding of a definite commercial use, a restaurant, from the municipalities into the unincorporated areas. The urban-rural line has been perforated. Hotels are sure to follow. The "wine industry" claims that serving food at tastings and events is the only way attract the patrons needed for wineries to survive. In fact, it is the economic justification needed for wineries to be proposed in the first place. Without the wine pairings and food serving events, the number of wineries being proposed, and the number of employees contributing to the population challenges the county now faces, would be considerably reduced. The decision to build a winery would be based on the need to process grapes into wine, and the county already has several times more than enough approved processing capacity for all the grapes grown in the county. Although the above article is a unique case, it is representative of what we can expect to happen in the next few years as the synergy between wine and food, codified under the WDO, is exploited. Note that food service isn't ending, it's just that the winery will be serving the food in the form of banquets and private parties. My two screeds on the ongoing conversion of wineries into backdrops for restaurants are here and here. The jist of my arguments, and the reason that the 1990 version of WDO went to such linguistic pains around "marketing events", is that restaurants should not be allowed in the vineyards. It is not that wineries and restaurants cannot cannot coexit - they do quite well together. In fact the two together present an unbeatable profit center that will eventually eliminate the need for municipal based restaurants. The combination is, in fact, profitable enough that every vineyard owner will want one, and all of the empty vineyards will eventually be occupied by their own restaurant-wineries. Whereas the profits to be made from tours and tastings at wineries is not enough to justify building a winery solely for that purpose, a restaurant within the winery does justify the cost. I'm sure that the winery being proposed in my back yard on Soda Canyon Road would be a very dicey investment if it were to depend only on tours and tastings. And as the profits from winery tourism eclipse the profits to be made from the sale of wine, the need for the vineyards also diminishes, and other uses, like parking lots to accommodate that large winery events, will be found for the land. My own modest recommendation: the new version of the WDO, being debated in February, needs to remove food service from the vineyards - lest the vines are literally eaten away.